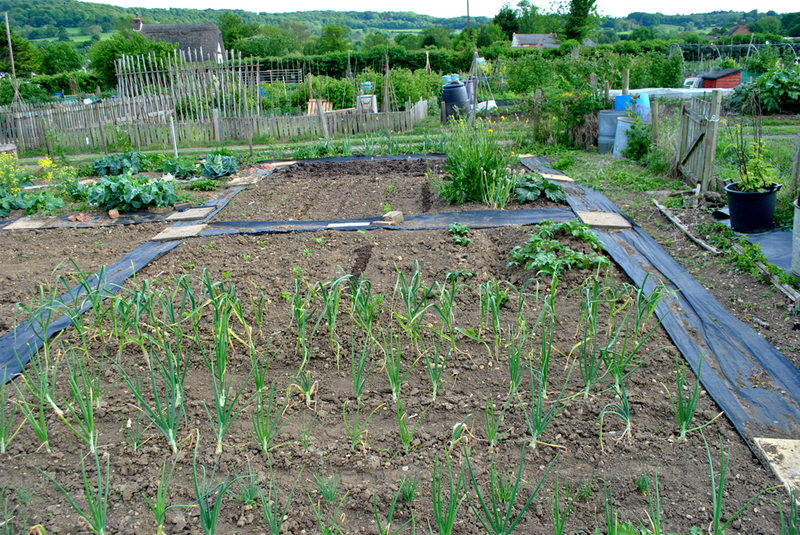 I spent some time at the allotment last night and, as expected, the rain showers of recent days have woken up all the weeds. It's amazing how quickly they grow, the plot seemed to have gone from looking lovely and tidy to full of little green shoots in a couple of days. Thankfully the now soft workable soil lent itself nicely to weeding and after an hour or so working with the hoe and on my hands and knees the areas with plants in were all back looking fairly tidy as you can see. It was also good to see the 2nd early spuds and some beetroot seedlings poking their heads through the ground. I also finally took the netting off the brasicas I'd over wintered. A lot of them had died, or gone to seed (I have to admit to really not giving them a single iota of care so it's my own fault) and there was a lot of weeds under there too which I doubt helped. 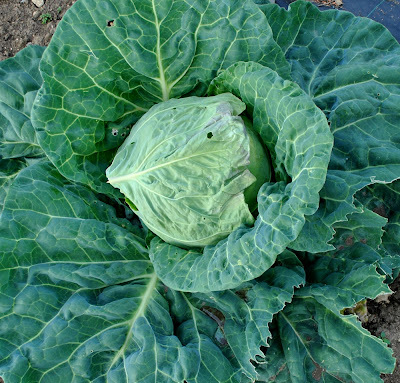 On the plus side there were a few lovely looking spring cabbages amidst the mess which kind of made it all worth while.I'm not very good at brasicas so I'll take my victories where I can. At the weekend I'm going to tidy up the bed, pull out the failed crops, weed and dig the rest then put the Oca, leeks and a couple of winter brasicas that have been growing in the greenhouse in there and see how they do. The exciting news of the day however is that we've finally bought our fruit cage. In the end we went for one from William James & Co as they looked good and my Dad bought one from them last year and he's been really pleased with it. It's a 3m by 6.5 meter one so should take up most of the far side of the plot that's been awaiting its arrival for so long it's currently a more than a tad overgrown. There's still two weeks before it arrives though so that should give us time to clear it all... Fingers crossed! 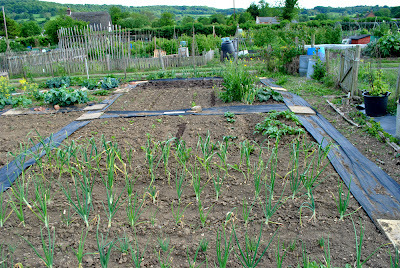 Yes the weeds have certainly revived and I hate weeding onions! Just found your blog after you left me a comment. Thanks so much for stopping by at my blog by the way! I love your blog, the book about wine making sounds interesting. Our neighbours had a grape vine and put it this way, we have one now too! It engulfs the majority of the fence and each year we get georgeous but tiny white grapes. Wine making is something we would both be interested in. I hope you get a superb harvest this year on the allotment! Fab blog! Thanks for your visit - I'm looking forward to seeing your progress :-) We are also Mel and Paul - let's hope we share your talent for growing stuff!!! You only have to turn your back for five minutes and the weeds return, a never ending battle. How exciting to be getting a fruit cage. We don't really grow much fruit on our plot, I should really get more stuff going. Looking very tidy now. Good work! @ Mel - Welcome, thanks for popping by. Cool to find another Paul and Mel!